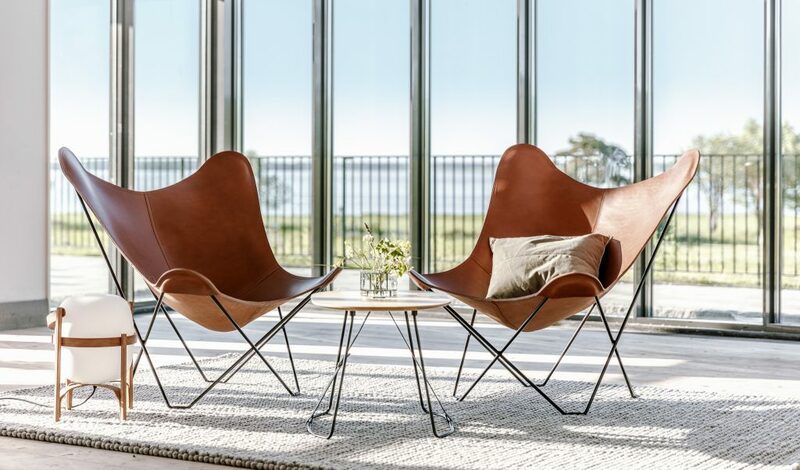 1938 was the year when one of the most iconic chairs in the world was born: The Butterfly Chair. Since then, there has been a desperate need of a convenient side table that perfectly matched the chair. We designed Sierra. 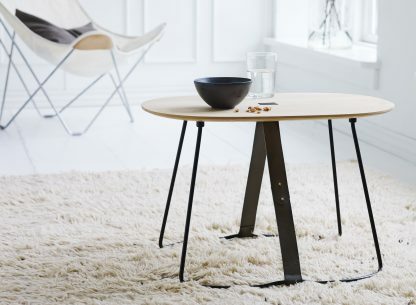 A table with an oval shape, inspired by the trendy shape back in 1938. 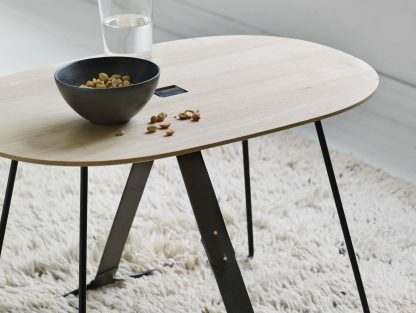 We did not expect that this table was going to be so loved as it is today. It was first designed to be a perfectly matching table for our Mariposa Butterfly chair. 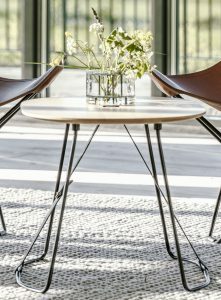 But when design experts saw it, they instantly appreciated it for its beautiful aesthetics and oval shape that differs from all the round shaped tables out there. The best way to enjoy this table is when you buy two of them. 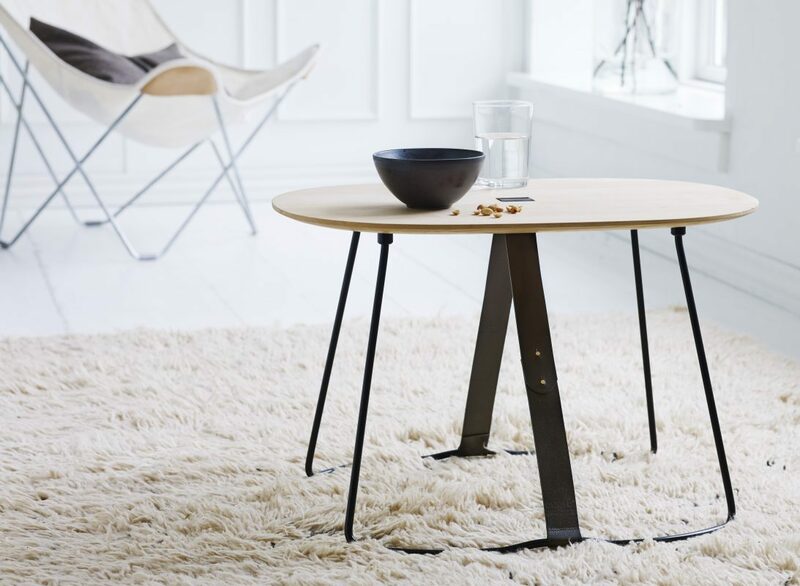 Together, they look amazing and are extremely handy as they serve as a large coffee table that you can also easily break up into two small side tables; one for each lounge chair. Your guests have arrived. They inspect your home and note that it is an art museum. You smile when they praise the little table that you bought with so much affection. Take the time to observe the artistic details of this modern side table. Wood, leather and steel are blended into a modern masterpiece. Fresh flowers, your favourite book or a nice cup of tea. Everything is beautiful on this modern wood side table. A passionate student from the renowned ECAL University in Lausanne, Switzerland, contacted Cuero Design. He wanted to base his final project for his Master’s degree on our concept of “Nature Meets Art”. A plate-wood and a solid steel frame were interlocked with a leather strap for self-stabilizing support. 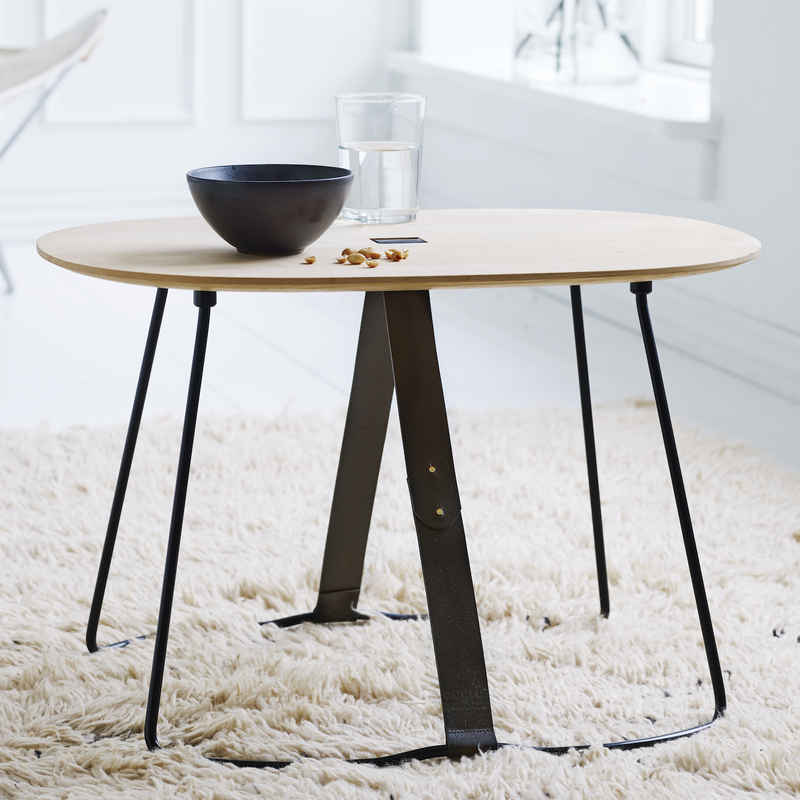 The modern wood side table is now made in Sweden as a treasured part of our collection. Cuero Design is very proud to be the source of inspiration for excellent students around the world.